Bazels Sub & Pizza has been on Rt. 16 (Washington St.) in Holliston since I can remember. 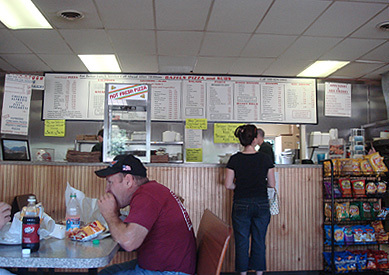 We used to get pizza here because there was no where else, since we lived so far from downtown. Our next closest option was Papa Gino’s in Milford but we would end up getting pizza from here more. 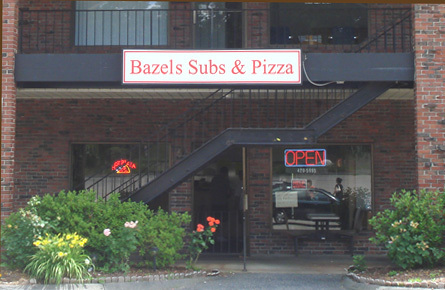 None of us live in Holliston anymore, we haven’t been to Bazel’s in at least 15 years but recently we were together and decided to take a trip down and taste a slice of history. Inside is a small but accomodating shop with seating for probably 15 people. 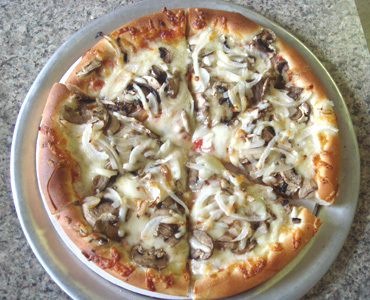 We got small mushroom and onion pizza and a Greek salad, both were pretty good. The pizza had a nice crunchy crust and sweet sauce. The cheese was well melted and they didn’t skimp on the toppings. 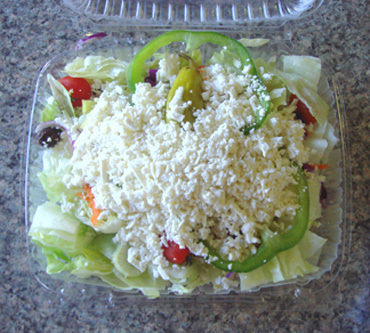 The salad was very fresh and came with a generous amount of feta cheese. I’m surprised to see a positive review. Used ot live right down the street from this place about 5 years ago, and after a change of ownership, the pizza’s just weren’t saucy enough and resembled white pizzas instead. Perhaps they finally figured out the recipe!